HOLLYWOOD — The massive operation has dozens of departments and hundreds of employees performing all manner of duties every day. Needless to say the Seminole Hard Rock Hotel & Casino in Hollywood is a bustling place with many moving parts. A group of six Japanese college students got a first-hand look at those parts, both from the perspective of a customer and in a unique behind-the-scenes working experience. The visitors – Shinya Kasai, Anna Araki, Midori Kiyonan, Mikiko Sato, Ayami Shirai and Nao Kizuka –completed a two-week “study tour,” part of a new Hard Rock initiative, from Aug. 6-19. The program is a first – a partnership between Hard Rock and Toyo University, which has several branches in Japan. The students were carefully chosen from Toyo’s School of Hospitality Management in a rigorous process based on their research and interviews. 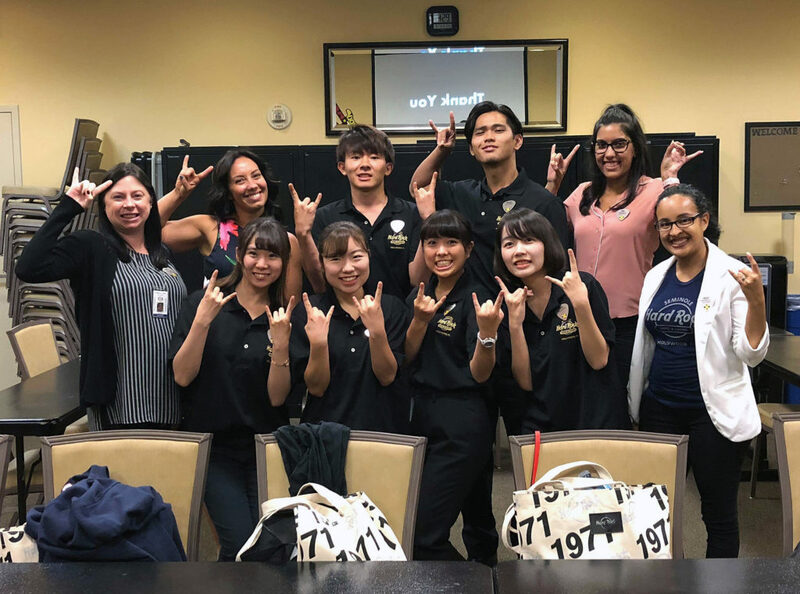 The non-paid program offered the students a “holistic overview” of everything Seminole Hard Rock,” said Jennifer Rice, vice president of human resources, something that is different from a typical year-long, paid internship position. The six students started out with two days of orientation, just like a new hire at the property would go through. Part of the induction was learning about the Seminole Tribe of Florida and Hard Rock. The group was then immersed in Seminole history by spending time on the Big Cypress Reservation, where they took in the attractions at Billie Swamp Safari, including a “Swamp Buggy Eco-Tour” ride on the Everglades. Back at the Hard Rock the schedule was jam-packed. The students learned about gaming, (particularly responsible gaming), security operations, everything the marketing department does, finances (including a look at profit and loss statement scenarios) and facilities maintenance. 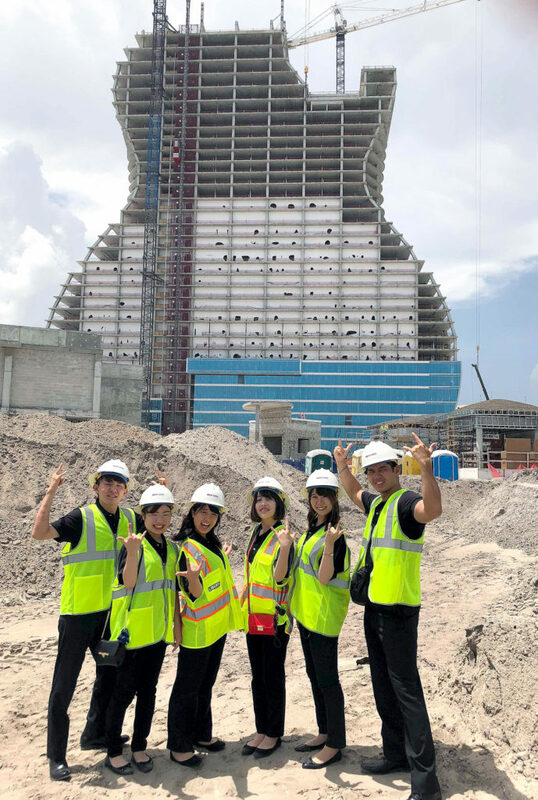 They also received a tour of the construction at the Hard Rock’s massive guitar-shaped hotel scheduled to open in the fall 2019. While the group wasn’t technically old enough to be on the casino floor, they still learned the standard operational procedures of the gaming department: slots, table games, poker – all in a classroom setting. In between the more intensive days of shadowing and classroom work, the group had some time to take in a day at Disney World and a Taylor Swift concert at Hard Rock Stadium. 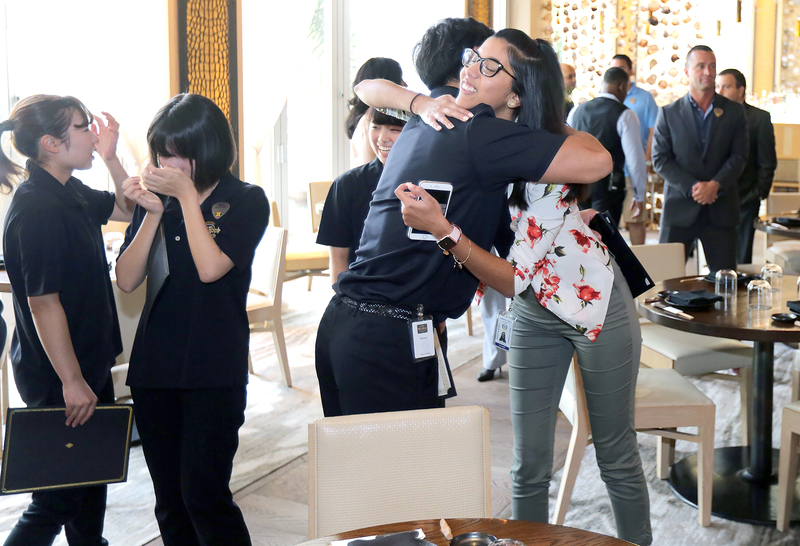 But the agenda was intense and the bonding with leaders of the different departments real, as they shadowed executives and employees in all areas from concierge services to housekeeping and the front desk. A typical day might include sweeping and mopping on the one hand, and touring the areas of the property that fall under VIP support services like the helipad on the other hand. The students said they particularly enjoyed their work with the food and beverage department. They learned both front of the house and back of the house operations and did everything from bussing tables to helping prepare food with the chefs on staff. “It really has been an overview of everything it takes to run a successful operation like this,” Rice said. Officials at Seminole Hard Rock want to use the unique mix of features at the Hollywood property to showcase its integrated entertainment-resort format, meaning hotel, casino and live music components. The impetus for the program, in part, is because Japan is in the Hard Rock’s sights. Hard Rock International Chairman and Seminole Gaming CEO Jim Allen dropped a hint of that in early July at the final beam raising ceremony for the 450-foot guitar shaped hotel. “We are looking to do an integrated resort in Japan,” confirmed Rice, including another guitar-shaped hotel. “To have a Hard Rock there would be a game changer. And we’re looking at one in Barcelona (Spain),” she said. 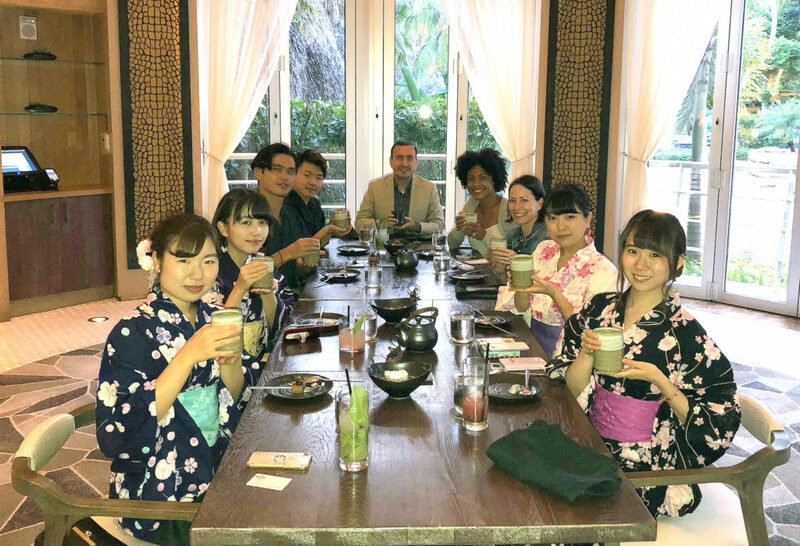 Rice said that while hospitality and tourism are taught in Japan, there’s not a known curriculum that focuses on integrated resorts and entertainment. She’d like to see the program become a way to create a workforce in Japan for the future Hard Rock property. 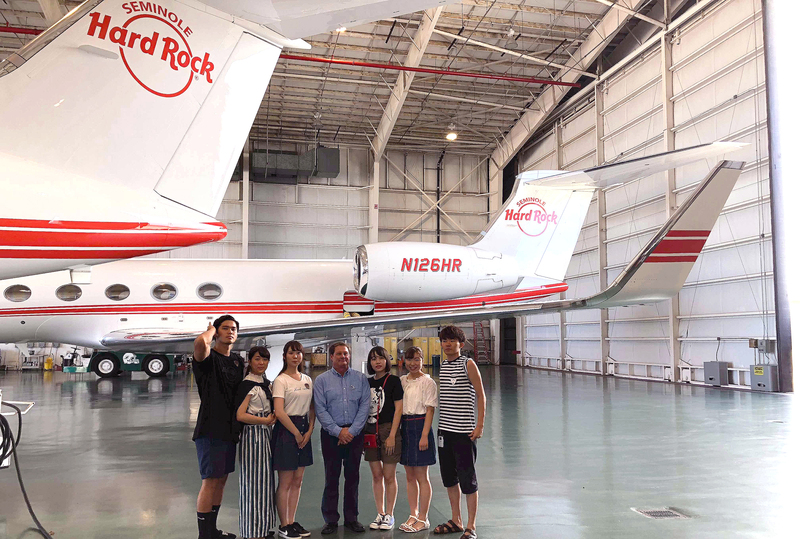 Back at home in Japan, the six students will now write and submit an in-depth report of their experience with feedback and ideas to make the Hard Rock experience even more pleasurable for guests.